12.5" - 5 qt Bowl 7" H x 12.5" Rim diam. 15.5" - 7qt Bowl 9" H x 15.5" Rim diam. Historians will appreciate the look and significance of our "Stainless Revere Bowl". Named after Paul Revere, this item is available in two sizes. 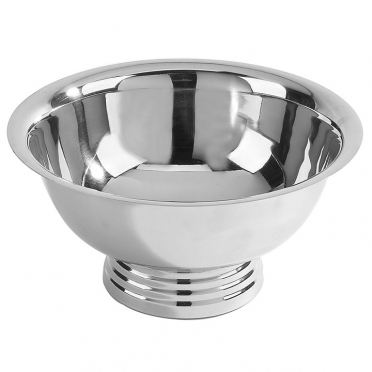 Thanks to its elegant appearance, it can be used to hold a centerpiece. Also, it may function as a punch bowl.